Home / News / Good News: CBN reduces exchange rate from N370 to N360 for travel allowances, medicals and school fees! Good News: CBN reduces exchange rate from N370 to N360 for travel allowances, medicals and school fees! 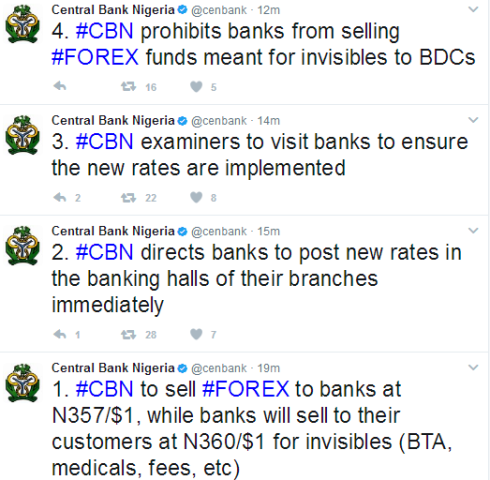 This morning, the apex bank (Cbn) made an announcement on its twitter handle stating that exchange rate for travel allowances, medicals and school fees have been reduced from N370 to N360. It's definitely a welcome change.